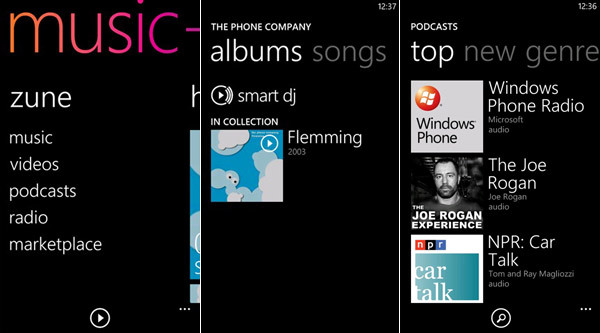 Windows phone OS has done a great job in eradicating the boring war which was viral between Android and iOS. Now the entry of new Windows OS in the battlefield is worth giving an eye for. Moreover I can say, Smartphone giant Samsung has done a great job in introducing this new warrior (Windows OS) on the smart phone battle field. 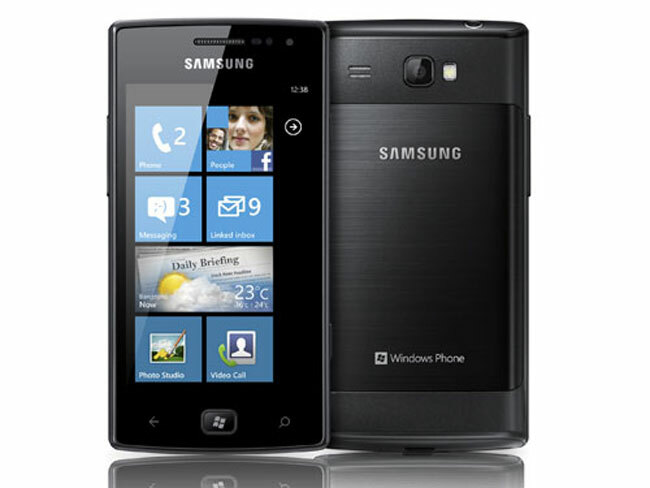 The new Samsung Omnia W is having Windows Phone OS with a mango update, it is less expensive than other Windows phones in market. Now let us have a look how does Omnia claims itself as a competent and impressive smart phone. The grand Omnia comes packed in a little box. It contains all the essentials of the phone , the quick start guides, USB charger, USB cable and a pair of headphones all of black color. 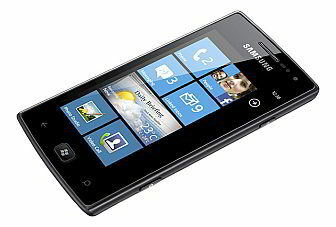 Samsung Omnia, in looks, is what a conventional smart phone is. It is sleek, fits very well in hand and weighs only 115 grams. 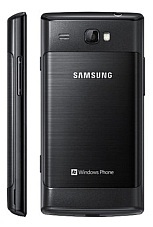 It has an exquisite, completely glassy black plastic exterior at the front and somewhat brushed aluminum at the back. It has a reasonable screen size of 3.7 inches and tapered edges are giving a neat look to the phone. 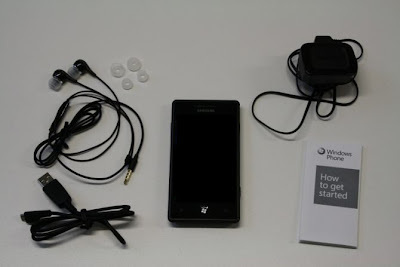 It has followed Windows phone 7 guidelines, with a hardware button for home with a windows logo on it, two sensitive touch keys one for return and other for Bing search. Unlike other smartphones the power key is on the right side panel and the volume rocker on the left side. 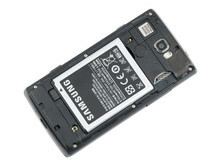 Samsung Omnia W has a 1.4 GHz single core processor which is made by Quallcomm and 512MB of RAM., a 3.7 inches display with highly popular super AMOLED screen having a resolution of 480x800 pixels. When Omnia says high resolution it means it, the text is clear and crisp, and the brightness levels are extremely good even at dark places or under the shining sun one won’t feel the need to change the brightness settings. I was amazed when my phone rang and I was able to talk as clearly as possible even when the connection bars down to 2. Sound Quality is good over loudspeaker and earpiece volume is quite acceptable as you won’t feel like going beyond 60%. Further, it offers 8GB of internal memory for storage and has 14.4Mbps HSPA connectivity, replaceable battery, an accelerometer, proximity sensor, Bluetooth, gyroscope sensors, magnetometer and a 5 megapixel camera at the back. It also allows for playback and 720p HD video recording. Moving on the Mango update, the UI has received a remarkable applaud with large tiles on the home screen and the very unique people tile which changes the pictures of your contacts even the contacts with your social network accounts. The lock screen displays time date and day and if you receive any notifications thy will come very neatly on the top of the screen. Like or majorly unlike Android, the home screen come by swiping the lock screen upwards and hence entering the now famous screen of “tiles”. Swiping to the left of tiled screen gets you to main menu where it comes alphabetically. One of the most famous tiles is the people tab where you can check notifications of your integrated social networks like Facebook, LinkedIn, Twitter at one go. 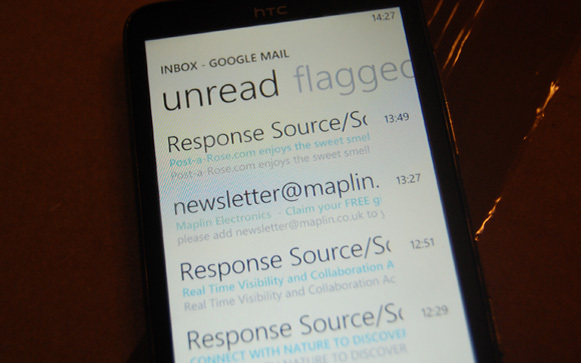 The phone calendar easily synchronizes with your Facebook and Gmail calendar. 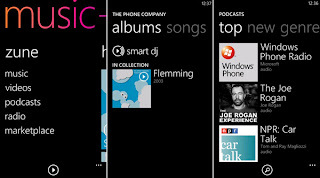 The phone offers a multi-touch support for zooming in the pictures or while surfing the internet. The internet is too smooth to make you forget your laptops and desktops, the internet browser allows you to open multiple tabs. If you cannot forget Android because of Android market, windows has got its own Windows market place where you can find all the essential apps and millions of apps are uploading in the marketplace every day. Even though it is a single processor, the apps run as smoothly as they can, with fast opening apps and amazingly flawless internet experience you will definitely fall in love with Mango update. 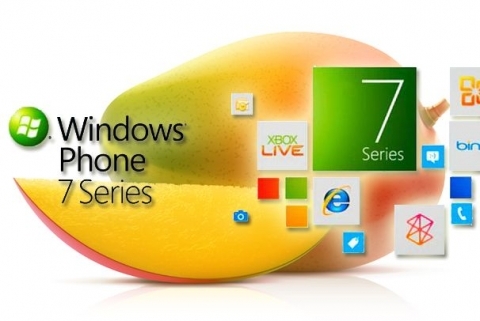 Windows is a step ahead of Android when it comes to mails, as the device comes with support of the popular Microsoft Exchange server and other POP and IMAP accounts. The settings for Yahoo!Mail, Gmail, Windows Live and Outlook comes bundled with the OS and various accounts example your phone book can be linked with your social networking contacts with a single touch. Where there is Microsoft there is Microsoft office, so in windows phone you cannot miss your important presentation, office documents or expense excel sheet. As I have already mentioned that phone can be easily converted into a hotspot and it has Wifi, so via AllShare app you can easily access each other’s files over Wi-Fi connectivity. Apps like FunShot make the 5 megapixel camera worthy to use, where pictures can be edited at your choice. Further there are various picture apps to get panorama view or adjust the colors or make funny effects out of your pictures. 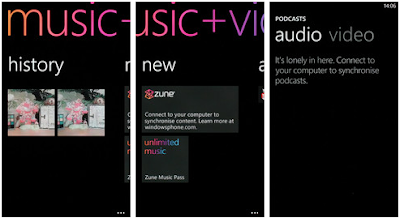 To get music to your phone or pictures from your laptop you have to sync your phone with Microsoft’s Zune software which is more Like iTune for iOS. You have to create a folder of your playlist and drag to get it synced with the phone. Music gets sorted on the basis of Artists, albums and genre. The device also has FM radio, which easily searches for radio stations the reception is awesome and the interface is a cotton candy to use. The Omnia has a 5 megapixel autofocus camera with a LED Flash. The camera software is quite easy and acceptable with the most common settings one might use, for example, Changing the color balance, sharpness, saturation, white balance, focus mode, contrast, photo quality EV metering, ISO, image effects and other features. You can even select the resolution on your choice like VGA , 2MP , 3MP or 5 MP. The camera mode also has several preset effects and scene modes which can be easily applied to videos or stills and give altogether a different experience. As far as the camera quality is concerned, the camera quality is too good to be at such a low price. Battery though sounds normal 1500 mAh for 6.5 hours of 3G talk time or 380 hours in stand-by mode but it is really good for above moderate usage like 24X7 synchronizing, checking mails or your face book account. All in all I found battery life a bit above average as compared to other smart phones. Energy – saving mode is a life saver, If your battery is about to give up, you can turn it on and it will give you a little extra time to make that important little call or find a charger. Dimensions, its not too small or too big. The Samsung Omnia W is priced at Rs 18,990, which is much less than other Nokia and HTC phones for windows that are launched in the market. 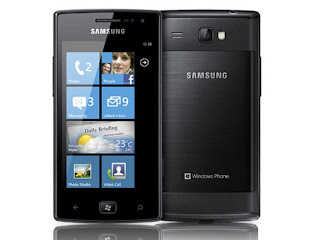 Samsung Omnia W might not have the “Bling” factor in looks but it does have it in the price when other companies are introducing Windows smart phone at such a high price Samsung has made a great decision at keeping it at an affordable price. If you want to have a windows phone experience , with exceptional battery, flawless touch and internet experience, Samsung Omnia W is the correct choice to be.